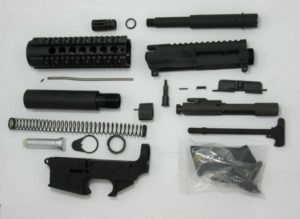 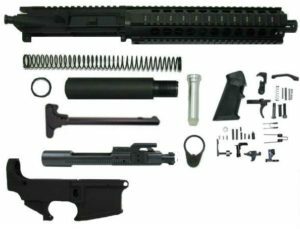 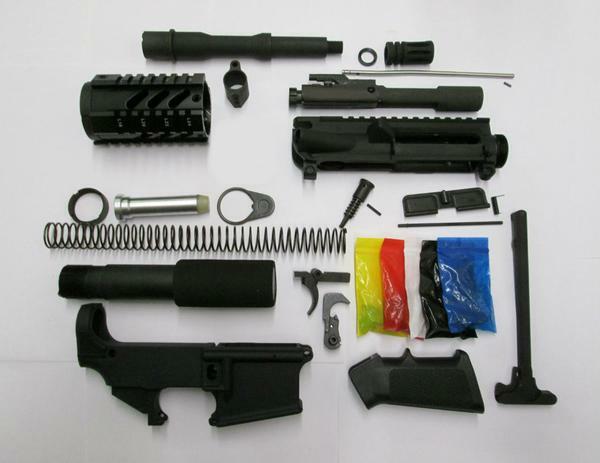 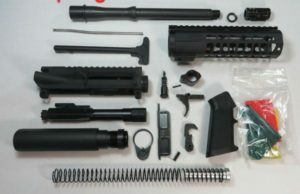 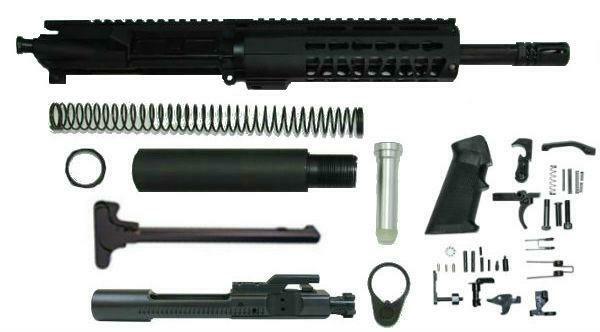 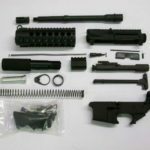 The Kit comes with all the parts to build your AR-15 pistol less lower receiver. 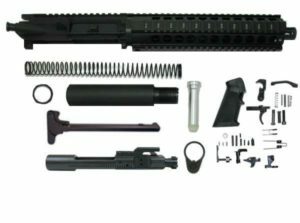 Also, The upper receiver is a Mil-spec forged upper receiver with a 10.5″ 1-7 Twist nitride finished barrel with a 1/2 x 28 thread for flash hider to screw on to. 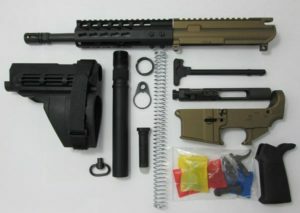 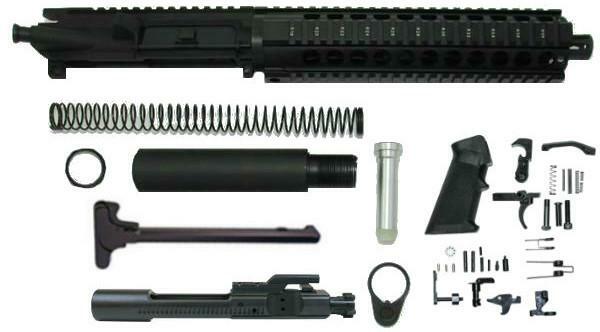 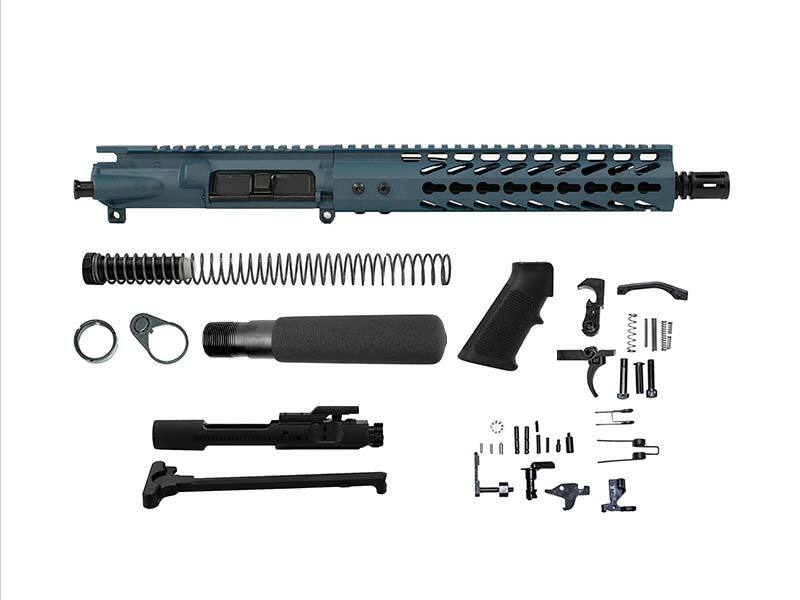 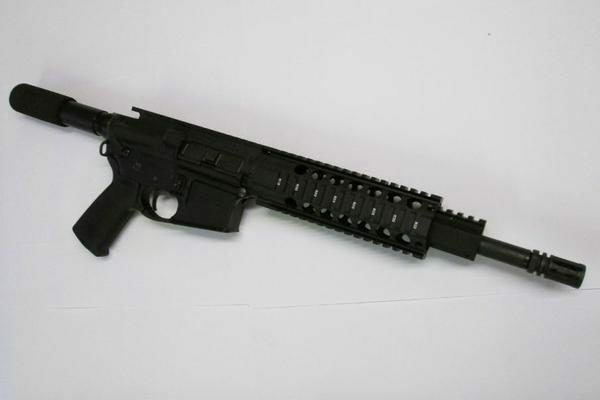 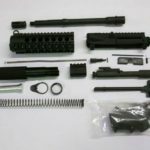 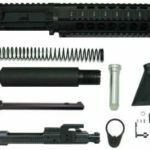 This AR-15 pistol kit has a carbine length gas system and M4 feed ramps. 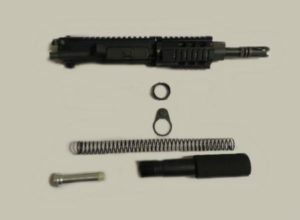 Attached to the end of the barrel is an A2 birdcage style flash hider that is screwed on and clocked to the right position with a crush washer. 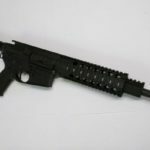 The handguard is a 6061-T6 Aluminum Quad rail with picatinny rails at 3,6,9, and 12 o’clock for mounting accessories on such as lasers, flashlights, and backup sights. Kit also includes a pistol buffer assembly including lower receiver extension tube, buffer, action spring, end plate, and crush washer. 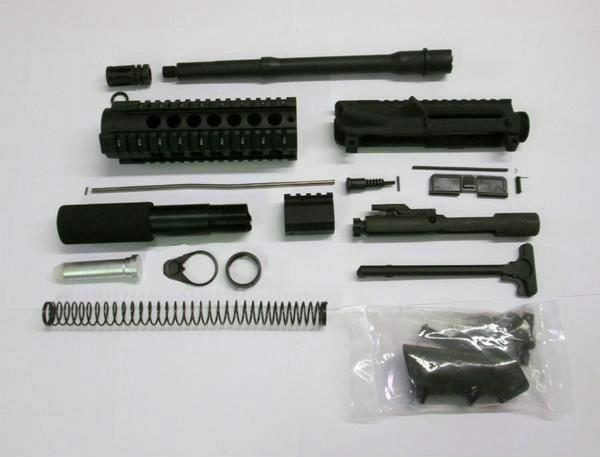 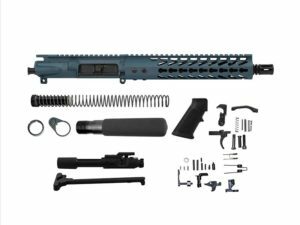 For the internal parts for the AR-15 Upper receiver is a M-16 Full Auto Bolt carrier group with a 8620 Steel Carrier and Carpenter 158 Bolt and a standard latch charging handle. Lower Parts Kits is a Mil-Spec AR-15 Lower parts kit with all the parts for the internal workings of your lower with phosphate coating and a standard A2 Grip.